We here at Jaffe & Neale are always happy to recommend our favourite reads. Here are a sample of our favourite picks for this Christmas and New Year. This is a must read for the whole human race. The simplicity of the message is deceptive as the message behind this book could save the planet. Rosamund Young is an important commentator on modern farming techniques and man’s inhumanity to creatures. The Lost Words is one of the most beautiful books of the year, for children and adults, a symphony to the wonders of the natural world, and a stand against the disappearance of wild childhood. Patrick’s favourite book of the year. 2 seventeen year olds are drafted to the SS in 1944 to fight on the Eastern Front. Rothmann’s prose gives you a steadycam view of their travails and hopes. A gem. 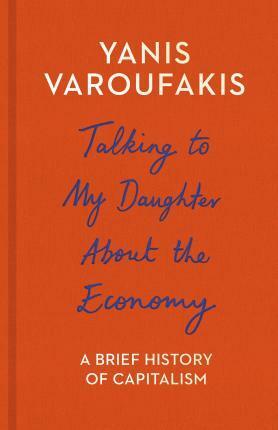 Answering the question posed by his daughter ‘Why is there so much inequality?’, the unique voice of Varoufakis gives an accessible account of the current economic climate. With clear explanations, Varoufakis helps to make sense of a troubling world while inspiring us to make it a better one. This beautiful book lives up to Lonely Planet’s usual spectacular quality, providing travel ideas for every month of the year. Perfect for constant traveller in your life.